For IT News Week 2 of Sep 2018, take note the launching of JBIX - 2nd Internet Exchange in Malaysia. Hong Leong Foundation (the “Foundation”) awarded scholarships worth RM1.39 million to 32 students from underprivileged backgrounds to further their education at institutions of higher learning in the country. 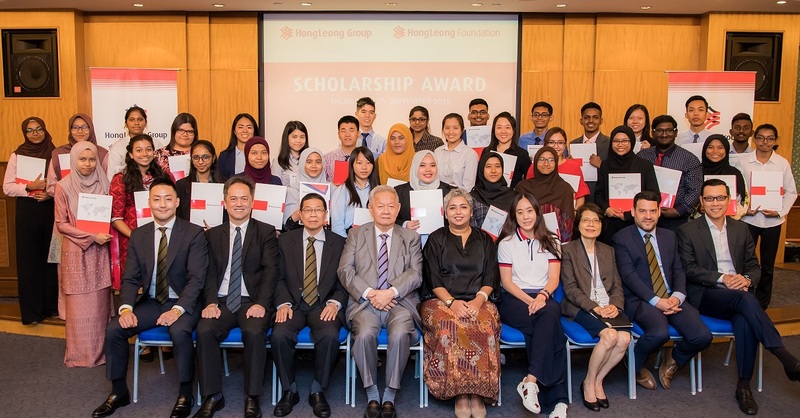 The Hong Leong Foundation has been awarding the scholarships to deserving students since 1997. To date, the Foundation had empowered more than 1,000 students in realising their aspirations, with up to RM34.59 million worth of scholarships. The scholarship is awarded for any course or field of study as long as it is a first full-time undergraduate or a diploma course at any recognised public and private universities and colleges in Malaysia. Nurul Hidayah Binti Abu Hassan, aged 20 is a visually-impaired student who has forged through resolutely. She lives with her home-bound mother and two siblings on her late father’s SOCSO contribution. This young lady was the country’s runner up in the National Quran Recital Competition 2015. “I have been given many opportunities in life because organisations such as the Hong Leong Foundation believes in supporting the potential that it sees in me. I am thankful for the chance to pursue a degree in social work as I want to give back to society too,” she said. Nurul Hidayah will be studying at University Sultan Zainal Abidin, Kuala Terengganu to pursue a Bachelor in Social Science. A recent report published by Cognizant - “Human+Intelligent Machines: Mastering the Future of Work Economy In Asia Pacific” – which explores how organisations in Asia Pacific are preparing for the future of work with intelligent machines. The world of work is changing faster than ever, and machine intelligence is at the center of this change. For example, the Malaysia government in 2017 announced the National Artificial Intelligence (AI) Framework as the nation recognises that the technology is the defining force of the fourth industrial revolution. 87% of respondents in Malaysia agreed that intelligent machines will have a significant impact on work on the next five years. While Malaysian companies plan to spend 12.9% of their revenue on AI, only 48% are confident about their abil­ity to integrate AI with existing business processes. Lack of trust in intelligent machines (55%) and people’s fear of job loss (60%) in Malaysia are two significant challenges that will impact the success of driving human-machine collaboration in the workforce. Both the private and public sectors are realising that data gives everyone – from scientists looking for the next breakthrough, to Human Resource managers trying to improve employees’ productivity – reliable information to derive insights and make better decisions. Within the next generation, data will need to become a second language for everyone here, as more employees are needed to find the insights hidden within data. Recognising the increasing need for data skills, Nanyang Technological University is making modern analytics mandatory for all students enrolled in Bachelor of Business and Bachelor of Accountancy courses. Using Tableau’s leading visual analytics software, 900-1000 students each year will learn the analytics skills they will need to be competitive in the workplace of the future. Starting from this academic year (2018-19), two mandatory modules and one elective are being introduced to all NTU’s Nanyang Business School (NBS) students enrolled in Bachelor of Business and Bachelor of Accountancy courses. As part of the collaboration, students and professors will be provided with free Tableau Desktop licenses and learning resources through the Tableau Academic Programmes. 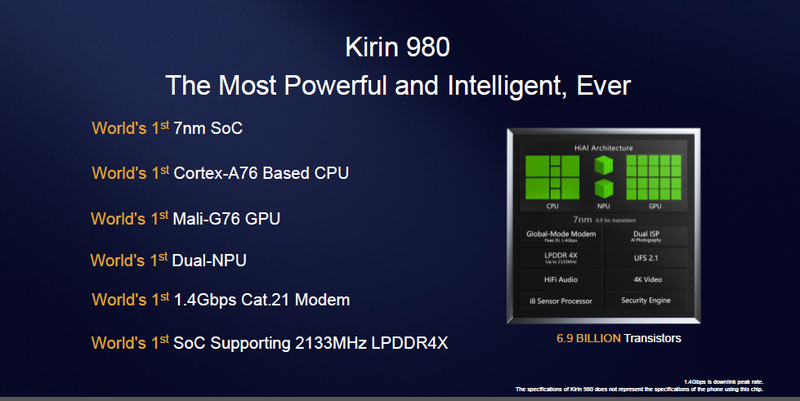 Kirin 980 is the first mobile chipset with dual-NPU, which achieve the world leading mobile AI computing power and bring the unexpected experiences and possibilities with smarter AI. AI loading prediction technology, Kirin 980 can regulate frequency according to load prediction based on AI learning. It can effectively increase the average framerate and reduce lag, which means smoother and fantastic gaming experience. The Singapore Green Building Week opens its doors today, with its two flagship trade platforms off to a great start. Build Eco Xpo (BEX) Asia, Southeast Asia’s leading trade exhibition for the region’s green building market, and Mostra Convegno Expocomfort (MCE) Asia, a regional HVAC-R, water and energy exhibition offering visitors a glimpse into the array of innovations that will soon become the norm in buildings and spaces of the future. Panasonic is showcasing the latest integrated air solutions, which combines air-conditioning and ventilation to improve overall indoor air quality, an important but often overlooked aspect of sustainable living. Dyson’s Airblade Wash+Dry combines a tap and hand dryer. The smart innovation saves space in the washroom while reducing the problem of water dripping on the floor as users move from a handwashing area to a separate hand drying station. Kruger’s Secomat dehumidifiers help enhance indoor air quality in living spaces by maintaining a constant 40 to 60 per cent relative humidity.